The 33-mile Chief Ladiga Trail is Alabama's first extended rails to trails project. The 3.8 mile section that runs through Piedmont is nestled in the foothills of the Appalachian Mountain range surrounded by the scenic beauty of mountains and streams. 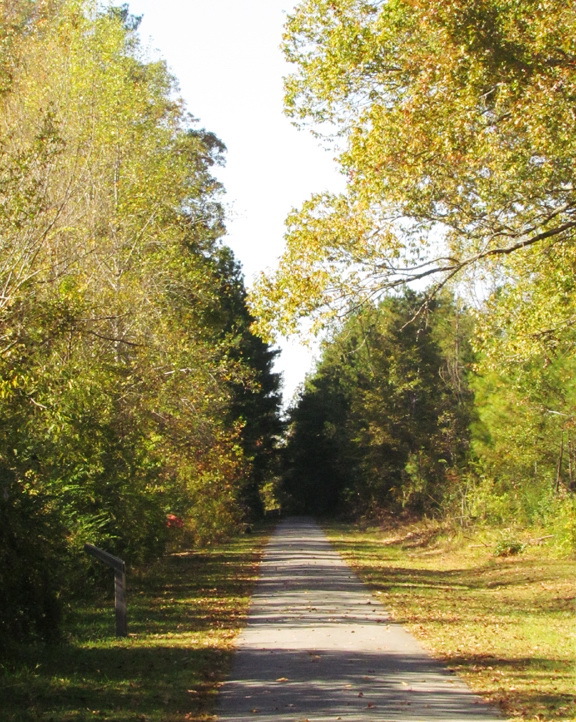 Location: Paved rail-trail within the city limits of Piedmont in east-central Alabama. From Montgomery, AL: Take State Hwy 21 north into Piedmont. Turn right onto Dailey Street. After you cross over the Trail, turn left into the parking lot of the Eubanks Welcome Center. Piedmont is home to the Chief Ladiga Trail. 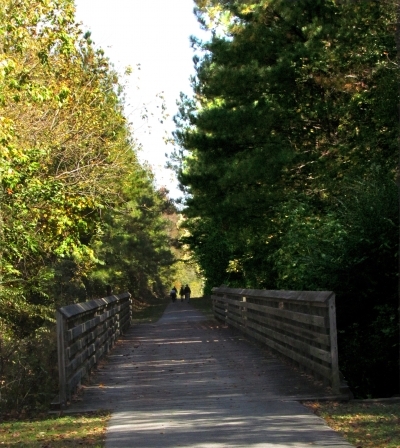 The Chief Ladiga Trail is a recreational trail where the former Seaboard/CSX Railroad was the first “Rails to Trails” in Alabama and the 500th nationally converted into a recreational bike and walking trail and goes through 4 cities and 2 counties before reaching the Silver Comet Trail in Georgia. The Chief Ladiga Trail and the Silver Comet Trail stretching more than 100 miles from Anniston, AL to Atlanta, GA marks it as being the longest paved trail in the United States. 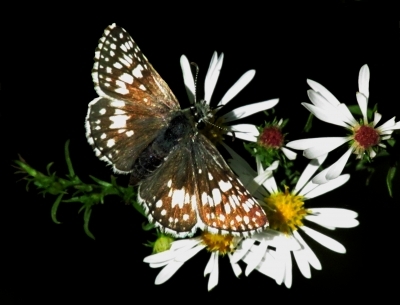 The Chief Ladiga Trail began in 1990 when the Calhoun County Commission and the City of Piedmont purchased the first 22 miles of corridor using a grant from the Land and Water Conservation Fund (LWCF). In 1993, the City of Piedmont received an Intermodal Surface Transportation Efficiency Act (ISTEA) enhancement grant, through the Alabama Department of Transportation (ALDOT), to fund construction of the first 8.9 mile section of the trail. The project continued to develop when in 1994, the cities of Piedmont and Jacksonville and the Calhoun County Commission were awarded ISTEA grants. 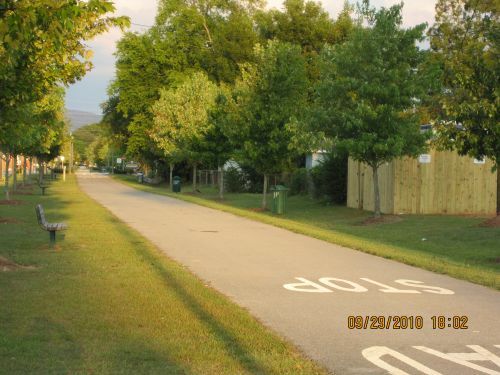 In 1997, the cities of Jacksonville, Weaver and Anniston were awarded grants from the National Recreational Trails Fund (NRTF) to construct trail access facilities. Also in 1997, the city of Weaver received an ISTEA grant to construct its 2.5 mile section of the trail. In 1998, both Weaver and Jacksonville opened their respective sections of the trail, and in 1999 Anniston completed its segments of the trail. Also, in 1999 Jacksonville State University was awarded a TEA-21 grant to complete its segment across campus. Cleburne County began bridge rehabilitation in January 2001 and was awarded TEA-21 grant to develop their 9 mile section which was opened December 1, 2007. The Chief Ladiga Trail is a very special paved trail that goes along the base of the Dugger Mountain Wilderness Reserve, the Terrapin creek canoe trail and the Pinhoti Trail. 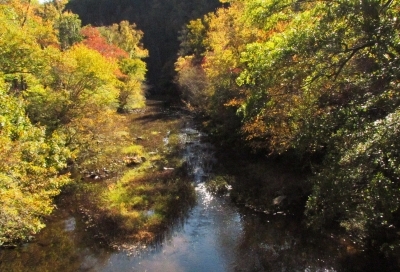 A person can bike, hike and canoe all on Nationally recognized trails. The Chief Ladiga Trail is a family oriented pathway that provides a safe, non-motorized way to travel, exercise and relax while enjoying a vast array of wildlife and beautiful scenery such as wetlands, streams, forest, farmland, and a horizon filled with wonderful mountains. 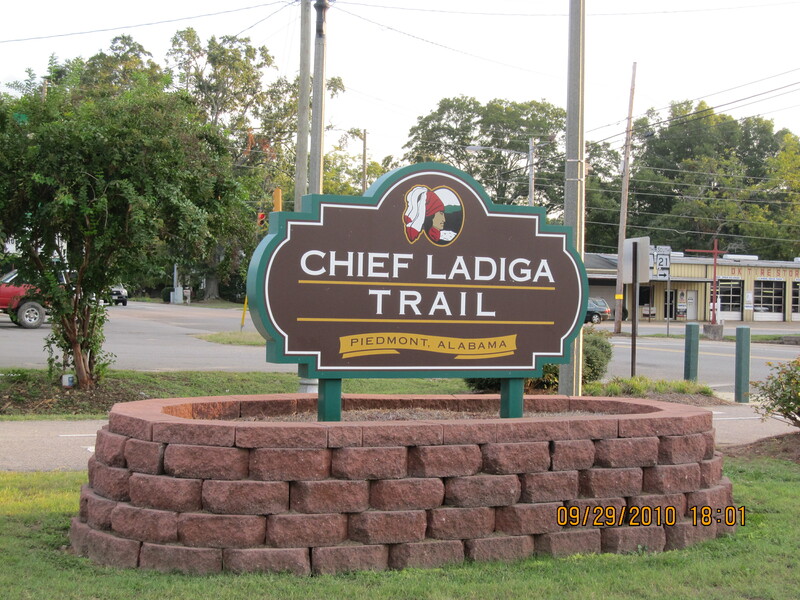 The Chief Ladiga Trail was named for a Creek Indian leader who signed the Cusseta Treaty in 1832. Under the terms of that agreement, the Creeks gave up claim to their remaining lands in northeast Alabama. Because he had signed the treaty, Ladiga was allowed to select some land in Benton County for his wife and himself. A year after the treaty, he sold part of his holdings for $2,000 to a group of speculators headed by Charles White Peters. That land later became Jacksonville. After selling the land, Ladiga and his wife moved to the Cherokee Nation and settled near what is now Piedmont. His cabin stood until about 1900, and he is buried in a grave near his home place. The area now known as Piedmont is a community that began in the early 1840's, located at the crossroads of two early post roads. Tradition has it that a hollow stump was used by the mailman to deposit and pick up the mail. This point received the official name of "Hollow Stump." 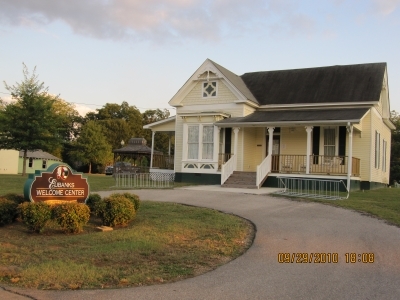 Later a registered post office named "Griffen's Creek" was established by the Postmaster General. Major Jacob Forney Dailey of North Carolina came to Alabama in 1848 and bought land from the Prices family. History states the Prices were believed to be the first landowners here. Major Dailey named the area "Cross Plains". 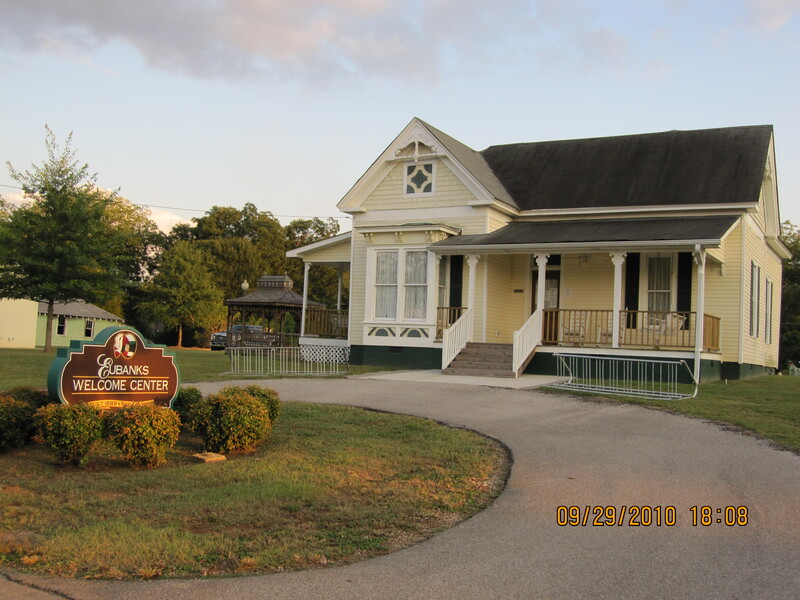 An official post-office was named "Cross Plains" on September 22, 1851. In 1870 the name was changed to "Patona," but on June 7, 1870, the name was changed back to "Cross Plains." The name "Patona" was found to be most undesirable. On July 30, 1888, the Postal Department renamed the office "Piedmont". The name Piedmont—meaning 'Foot of the Mountains'—was pleasing to the people who enjoyed being nestled in the foothills of the Appalachian Mountain range surrounded by the scenic beauty of mountains and streams. The City of Piedmont has prime real estate as well as the infrastructure necessary for industrial and commercial growth. 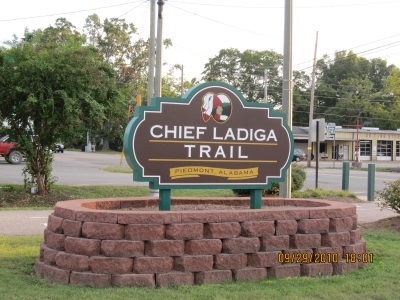 Chief Ladiga Trail in Piedmont, Alabama. Photo by John H. Morgan, III. Common Checkered Skipper. Photo by John H. Morgan, III. Bridges and surrounding water provide excellent bird watching opportunities. Photo by John H. Morgan, III. The river below with all of the fall colors in full glory. Photo by John H. Morgan, III.